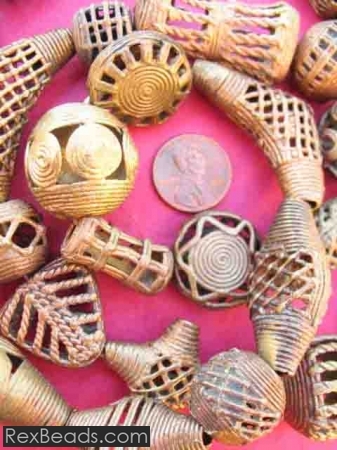 Tabular brass beads are more flat than round and were common adornments amongst members of African traditional society. 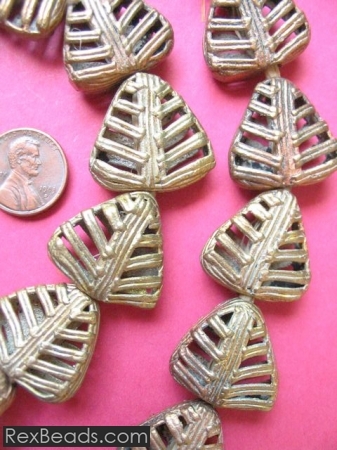 In countries such as Ghana, tabular brass beads were hand made by bead makers from the Ashanti tribe to create one-of-a-kind pieces such as beautiful triangle matched beads crafted from brass through the lost wax technique. 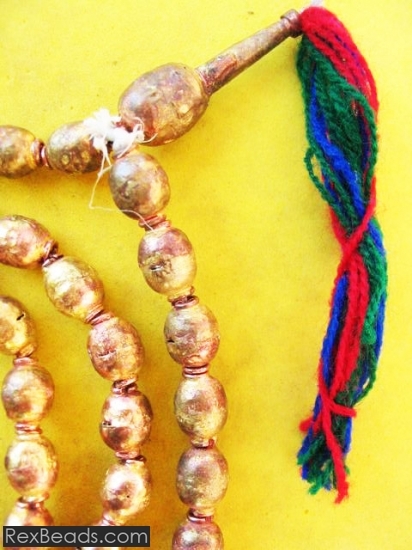 What makes each tabular brass bead unique is the fact that a mold is specifically prepared for each bead, which is thereafter destroyed in order to extract the bead. 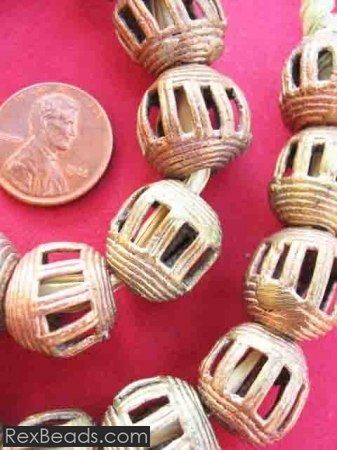 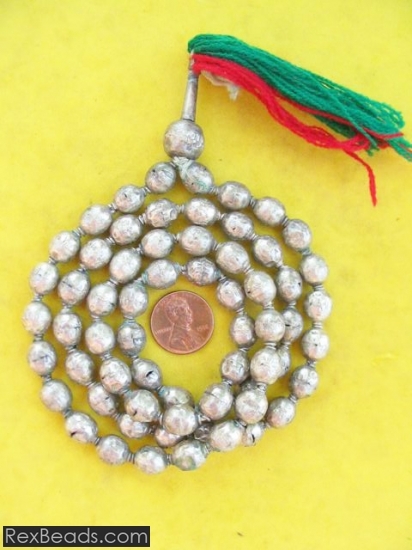 Also hand strung, tabular brass beads are ideal for designing elaborate pieces of jewelry or simply wearing them as they come in the form of necklaces or bracelets.